At Melbourne Walking Tours we harvest wild and sustainable Indigenous food, medicine, tools, shelter and other resources from our local Melbourne environment utilising the Indigenous seasons. This is a highly nutritious food gathered from wattle trees, often by children. It has the rare quality of being able to be stored for long periods. When mixed with lime such as ash t was used as an adhesive to combine stone, wood and string. A perennial grass forming dense masses, this is one of Australia’s most widespread grasses. The grass here has been grown from seeds from remnant vegetation found on the old Observatory site by the main entrance to the RBG, so gives us a real connection between past and present. In summer, Aborigines would gather seeds and grind them into flour which, when mixed with water, was cooked to make damper. Dense clusters of shiny bright brown spikelets form on wiry stems which were used to make twine for fishing nets. Tussocks recover vigorously after fire and this grass was a staple food of kangaroos on the basalt plains. An infusion of leaves and twigs has been shown to have possible anti-diabetic properties. Aboriginal mothers gave an infusion of the leaves to their babies to make them go to sleep. Papery red seed capsules were used by European settlers as “hops” in beer making. The Aborigines used parts of the plant as a local anaesthetic, chewed the leaves to relieve tooth-ache and bound them on their skin to treat stings. Apparently boiled root juice was applied to sore ears. A staple food source for indigenous people throughout South-Eastern Australia. The floury rhizomes were steamed in earth ovens or roasted in fires, the edible portions consumed, then the tough fibres that remained were scraped with mussel shells and made into twine. The women rolled the moistened fibres on their knees to form long continuous strands. These were then woven together to make stronger 2 or 3 ply string. Young succulent leaf bases were also eaten, giving a pea like flavour. If the water was murky or polluted, it became tainted and inedible. Leaves were used by the local people to make eel traps and baskets and more recently for chair caning. joints afflicted with rheumatism. Bark also has good tanning properties. The hard wood was fashioned into clubs, spear throwers, boomerangs, and shields, and more recently, fine furniture. The tubers were roasted and then kneaded into dough. The leaves, when crushed, were used as an inhalant for headaches. 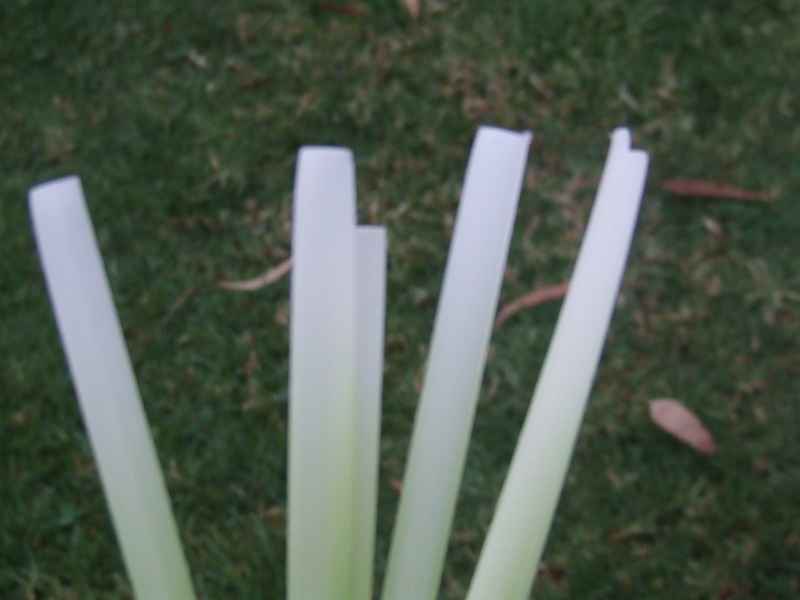 Root fibers were used for making string. Note: these plants are on the Australian National Botanic Gardens list as poisonous both internally and externally. This small Grassy Woodland plant looks insignificant, but it was extremely important to the indigenous people – its tubers (round, or like a carrot) were probably the most relied-upon staple food for the Aborigines of Victoria. 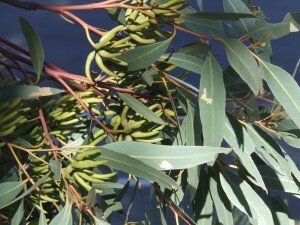 The plant was mentioned frequently in the early European accounts of Victorian Koori diet. Tubers are edible cooked or raw. When raw, they taste crisp and bland. They were mostly cooked in rush baskets in ground ovens overnight; cooked this way they produce a sweet syrup and are very good to eat. Yam daisies were once abundant on grassy plains, up as far as the snow line.A settler in 1840 described “millions of murnong or yam all over the plain”, but it can now only be found in small isolated patches. What happened to it? When sheep were introduced, they dug up the tubers with their noses and trampled and hardened the soil so that it no longer allowed regrowth. After 1859 the rabbit added to the depredations of the stock. Aboriginal people sucked the sweet nectar from flowers, and also used the stems as a twine. Aboriginal people gathered the sweet underground tubers, which were eaten raw. River mint grows throughout the state along the edges of streams and rivers. The leaves have a spearmint aroma and flavour. Leaves were crushed in the hands and the vapour inhaled for colds and coughs. Also used to abate stomach cramps, and as a food flavouring. Sometimes it was used as a lining in earth ovens to add flavour to the food. White to purple flowers appear in spring and summer. Kangaroo spears, fighting sticks, waddies and fighting boomerangs were made from the wood. A tall shrub with leaves that resemble a kangaroo paw in shape. 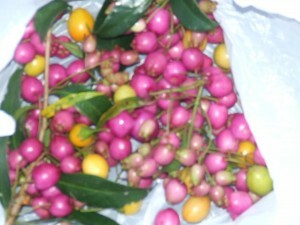 The flowers are purple, and the fruits change from a yellow-green to dull orange when ripe. The fruits of many species of Kangaroo Apple were an important food for Aboriginal people, but must be eaten when they are completely ripe. The fruit would sometimes be placed in sand to ripen before being eaten. Additional information: The fruit is poisonous when it is not ripe due to the alkaloid solanine. In the Soviet Union, Kangaroo Apples are farmed for this alkaloid, which is extracted from the leaves, to produce oral contraceptives and anabolic steroids. This plant belongs to the same genus as the potato, tomato, and eggplant. The tubers of the Bulbine Lily are one of the sweetest lily roots and were eaten all year round (probably after being cooked first).In Spring a spike of yellow star like flowers appears. The chocolate lily grows abundantly around Melbourne. Each plant produces a small bunch of tasty tubers, which were roasted before being eaten. The small purple flowers have a strong chocolate smell. This Lily, and most other native members of the lily family, produce white, bittersweet tubers on their roots which were dug up by Aboriginal women and used as a staple food. Tubers are edible raw or roasted. The plant has a strong scent of vanilla, especially on warm days. Edible berries when ripe. Fruit have a sweet flavour, which becomes nutty once seeds are chewed. Leaf fibres were used to make strong string and baskets. The Prickly Currant Bush grows in the tall forests over much of Victoria. From January to March it produces many small, sweet, currant-like fruits with a thin layer of flesh around a seed almost as large as the fruit itself. In Spring the plant produces beautiful mauve pea-shaped flowers. It gets its name from the strong blue dye the Aboriginal people extracted from the flowers. The roots were crushed and placed in water as a fish poison. An important wood for making boomerangs and other implements such as shields and clubs. A boomerang made out of wood from the Drooping She-oak has been found in South Australia and dated at 10,000 years before present. The young shoots and cones were sometimes eaten, and could be chewed to relieve thirst. The mat of fallen needle-like foliage under she-oaks was considered a safe place to leave children as snakes are said to avoid these areas. The Black She-oak was one of the first trees to be harvested by the Europeans as the wood burns easily and was in great demand for bakers’ ovens. The hard wood was fashioned into shields and spear-throwers. The bark was heated and then infused in water for bathing joints afflicted with rheumatism. Positioned around the back of the promontory.Flowers from July – October. Flowers are cream coloured balls. Grass Tree – Xanthorrhoea australi. Copious amounts of nectar can be harvested from the numerous flowers in the flower stalk. Seeds were crushed to make flour. Soft white leaf bases (containing 5% sugar) were eaten and have a sweet nutty taste. Trunk resin used to attach spearheads to shafts, etc. Edible grubs found near the base. Fire could be made by rubbing the dried flower stalk with a piece of hard timber, igniting the fine wood dust inside. Flower spikes were also used as a spear shaft. Edible seaweed beads also pickled by early settlers. Sea Parsley (Sea Celery) occurs all along the southern coastline of Australia. Its leaf form and plant dimensions vary quite considerably from place to place, but most commonly it has an appearance of shiny dark green parsley. Wattleseed, the Acacia, provides protein and carbohydrate. The seed was crushed into flour between flat grinding stones and cooked into damper. Even the green seeds of some species were eaten after baking in the hot coals. Wattleseed contains potassium, calcium, iron and zinc . With a low glycemic index, they are good for diabetics. The thick soft bark was used for roofing, blankets, rain capes, bandages, plates, caulking for canoes, rafts to take material across rivers, slings to carry babies, and padded rings to carry loads on heads. Leaves crushed and sniffed for colds and headaches. An infusion of the leaves was used as a wash for skin irritations. The timber is very good firewood that will burn all night. As the wood is very strong it was also used for making digging sticks. Twine made from the leaf fibres was used to make bags, baskets, fishing lines and nets. Baskets made from leaves. The growing heart of the crown was eaten, though this will kill the plant. Additional Information: Palm tree grows to 30m tall. Flowers Aug-Sept. It is the only native palm that occurs naturally in Victoria. The upper part of the trunk was split open and the soft pithy tissue which is rich starch, eaten either raw or cooked. 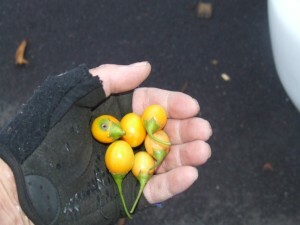 Additional Information – Dicksoniaceae – Early witnesses describe the core as a turnip-like substance as thick as a man’s arm, tasting variously bitter, sweet, astringent or “like a bad turnip”. Removal of the core kills the fern. Crowns are a favourite campsite for possums. The sap of the young fronds was placed onto insect bites to relieve the itchiness and pain. Caught, using traps woven from bulrushes, or poked from sunken logs using lawyer vine stems, and eaten. In fresh water, men would muddy shallow water and feel for eels with their feet. Hand nets used in salt water. Spears sometimes used. Tortoises in the lake were also caught and eaten. Additional Information – Anguillidae – For pains in the joints fresh skins of eels were wrapped around the area, flesh side inwards. (The same cure was very common in Scotland for a sprained wrist.). Eels are nocturnal fish. Females grow to around 1m in length, weighing approx 3kg. The females prefer freshwater, the males live in the sea. When the eels reach sexual maturity (10-20 years for females, 8-12 years for males) they migrate distances of up to 3000km to the Coral Sea where they spawn. 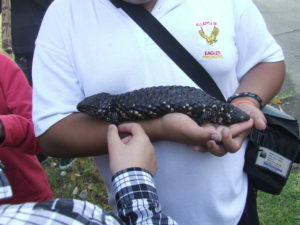 It is believed the females die after spawning. The females can release more than 2 million eggs which float in the currents down the east coast of Australia. The eggs hatch into glass eels which migrate down the coast and into the estuaries. The glass eels that migrate up the rivers into the lakes and swamps develop into females, the ones remaining around the estuaries develop into males. Short finned eels migrate from the RBG from late summer to autumn. If an eels water supply is drying up it may travel up to 1.5km over land to find another source. Different species of possums and birds nest in hollow trees of many species, such as the Red Flowering Gum – Corymbiaficifolia, and the River Red Gum – Eucalyptus camaldulensis. If the tree needed to be climbed the men usually did it. Birds’ eggs were usually eaten raw. Possums, which sleep during the day were caught, killed, gutted, skinned and cooked in coals before being eaten. The skins were sewn together to make cloaks or rugs. A greatly appreciated food source for Aborigines and some pioneers.Usually roasted whole in coals, only the wings being removed first.Skin not eaten. The flesh has an excellent flavour resembling chicken. Ducks can also be caught by stealth, which involves a swimmer grabbing the ducks feet and pulling them under the water. Turtles were caught and eaten. Eggs were collected from the edges of rivers and wetlands during spring. Possum fur: used to make twine. Bone: used to pierce hides for sewing from the sinews from a kangaroo tail. Stone: Certain kinds collected and chipped to make a wide range of implements for cutting, weapons, cooking etc. Dock. Commonly grows in association with nettle, is rumoured to cure or ease their sting. Crush a leaf before applying to affected area. Liver tonic, increases iron levels in the blood, regulates hormone levels and reduces menstrual flow and cramping. The highly nutritious, lemony flavored young leaves are excellent raw or cooked in early spring, as are the leaves on the flower stalk and the peeled flower stalk in mid-spring. People boil the long yellow taproot and drink the bitter tea to detoxify and to help liver or skin ailments. Stinging nettle. Nutritive tonic, diuretic. Restorative to the adrenals and kidneys. Highly nutritive. Can be eaten after cooking to remove the stinging properties. Stinging nettle has been used as a successful pain reliever for arthritis by stinging the affected area with the raw plant. Burdock. The root is used to stimulate detoxification of the lymph and liver, known as a “blood purifier.” It also has diuretic and diaphoretic properties. Dandelion. The leaves are a tonic to the kidneys, being one of the few diuretics that does not deplete the body of potassium. The whole plant, especially the root, is a detoxifying tonic for the liver. The whole plant is bitter and can be used as a digestive stimulant. Shepard’s Purse. Used to stop bleeding. Cleavers, Goosegrass. Strengthens lymphatic activity, eases tender, swollen breasts, PMS symptoms, and mild lymphedema. Diuretic. Used to treat skin conditions, including tumors. Chickweed. One of the most nutrient dense plants, full of antioxidants. Great for skin conditions when infused into oil. Dissolves cysts and lumps. Yarrow. Antibacterial, pain relieving. Great herb for wounds. Regulates blood flow, so that it stops excessive bleeding while also preventing blood from pooling. Can be used to prevent and treat colds and flu. Diaphoretic. Digestive stimulant. Mallow. Whole plant is mucilaginous, extracted in cold water or vinegar, which is soothing internally (easing sore throats, upset tummies, heart burn, irritable bowel, colic, and constipation) and externally (relieving bug bites, burns, sprains, and sore eyes). Mullein. The leaves are an expectorant, stimulating coughing to clear the lungs. An infused oil can be used for ear infections. All parts are stimulating to the lymphatic system and are helpful for any ailment related to the alignment of joint, bone or tissue. Nettle. Despite its “sting”, young plant parts are edible, as is much of the plant when blanched or otherwise prepared. Also makes a nutritious tisane. One of the most-used plants in herbal medicine, with a long list of benefits. Also once grown as a crop for its fiber. Its juice was once used in the place of rennet in cheese-making. It was also a source of “green” for dye. It can still be used as a high-protein additive in animal feed, once dried. Cornflower various colours; can be served as edible garnish to decorate salads. Purslane — prepared raw for salads or sautéed, Purslane is eaten throughout much of Europe and Mexico. It contains more Omega-3 fatty acids than any other leafy vegetable plant. It can be eaten in salad, stir-fried, or cooked like spinach. berries can be eaten like capers. In Traditional Chinese Medicine, it is used to treat infections or bleeding of the genito-urinary tract as well as dysentery. It may also be applied topically to relieve sores and insect or snake bites on the skin. Ground Ivy Used in the traditional medicine of Europe going back thousands of years. Inflammation of the eyes, tinnitus, a diuretic, astringent, tonic and gentle stimulant. Bashful Mimosa Mimosa pudica is being investigated for its potential to yield novel chemotherapeutic compounds. It contains an alkaloid called mimosine, which has been found to have potent antiproliferative and apoptotic effects.